WW2 GERMAN RAILWAY EAGLES WANTED! Welcome to German-Helmet.org. We are WW2 military collectors and history buffs. We have been collecting, buying and selling collectibles for over a decade. 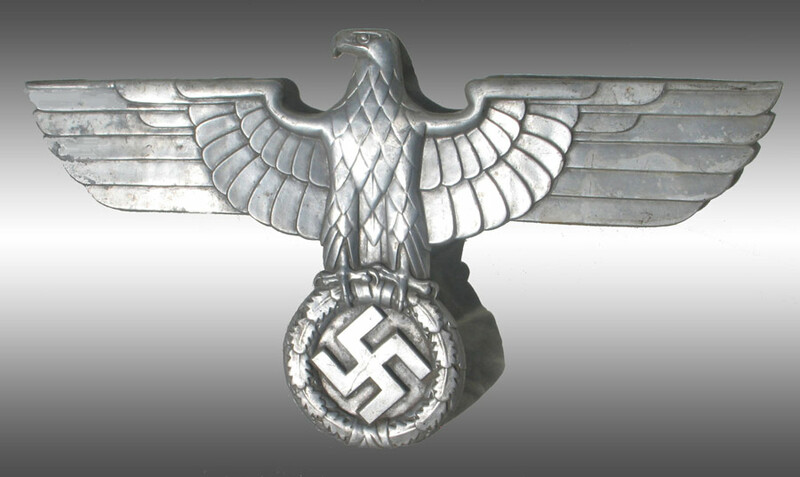 If you have an original WWII German Railway eagle for sale please contact us. Please include several good photos of your items. Be sure to let us know how much you are asking for your items and we will get back to you quickly to let you know if we would be buyers. NOTICE OF COPYRIGHT: This website is and all of its content are copyrighted. No reproduction without prior written permission from the copyright holder.